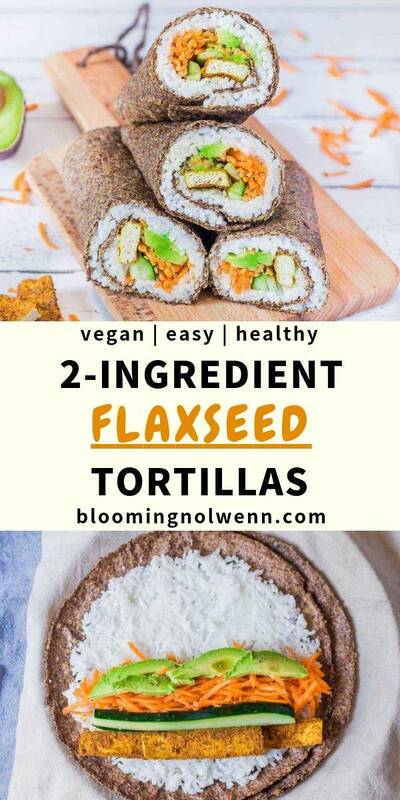 Healthy and vegan 2 Ingredient Flaxseed Tortillas that will blow your mind! 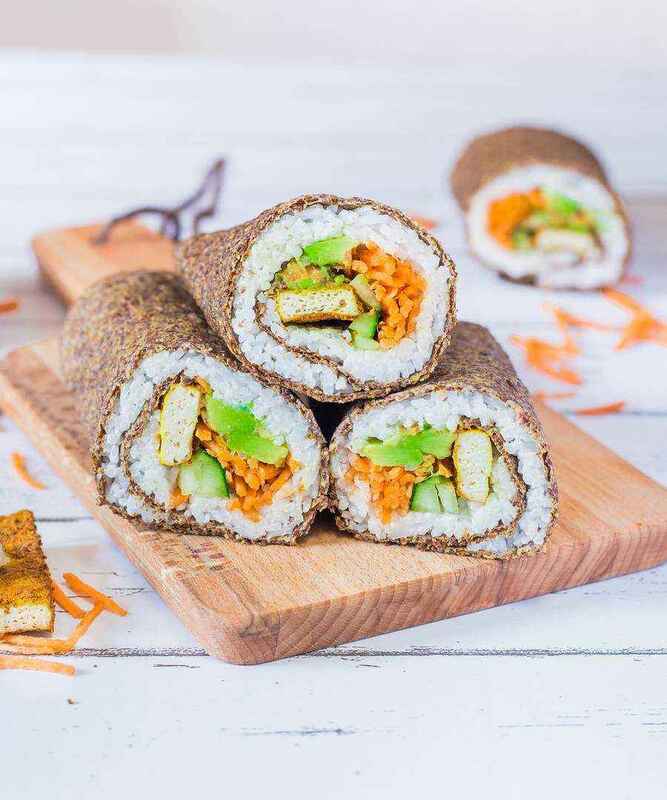 They are very tasty and super easy to prepare. 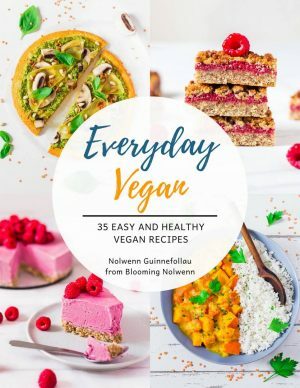 Gluten-free, oil-free! We had this huge jar full of flaxseeds for a few months and none of us would open it because we didn’t know how to use flaxseeds. However, I kept looking for recipe ideas to use them as I know how good for you they are. Well, I am super excited to share this recipe with you because it was a huge success! 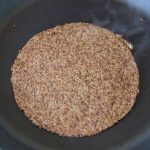 Honestly, I didn’t expect these 2 ingredient flaxseed tortillas to turn out this flexible so I was pleasantly surprised. They are also very easy to make and taste juste as good as store-bought tortillas – if not better. Flaxseeds are a superfood rich in protein (18 g for 100 g), fiber (27 g for 100g), omega-3, calcium, magnesium and potassium. They also contain vitamins B1, B2, B3, B5, B6 and B9 which makes them extremely beneficial for our health. However, it should be noted that whole flaxseeds can’t be digested by our bodies so you should always consume them ground. You can buy flaxseed meal or grind them yourself with a coffee grinder or a high-speed blender. 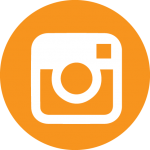 I personally use the Tribest Personal Blender which works perfectly. I suggest that you grind a small quantity of flaxseeds at a time because they only keep for a couple of days once they are ground. These tortillas will keep their flexibility for at least 2 days. 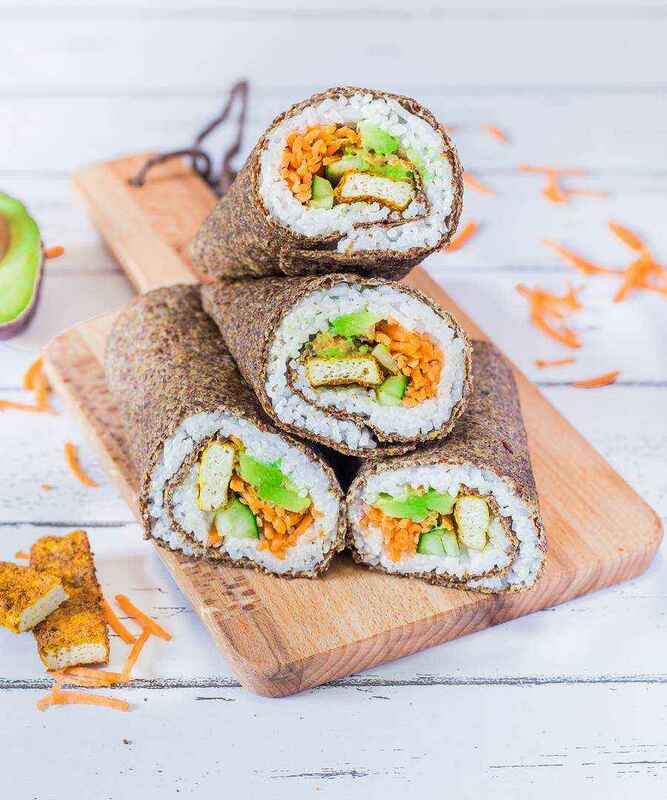 You can use them as burritos like I did and fill them with basmati rice, shredded carrots, cucumber sticks, avocado and crispy oven-baked tofu. 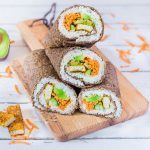 Then, all you have to do is roll them like a burrito, cut them in half, place them in your lunch box and enjoy them when you are hungry. 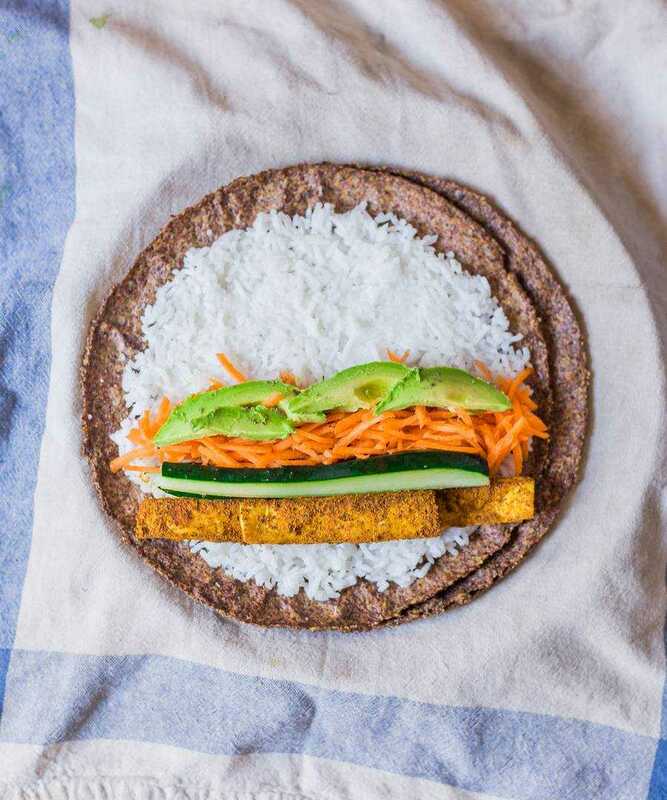 These 2 Ingredient Flaxseed Tortillas are vegan, gluten-free, oil-free and only require 2 ingredients. 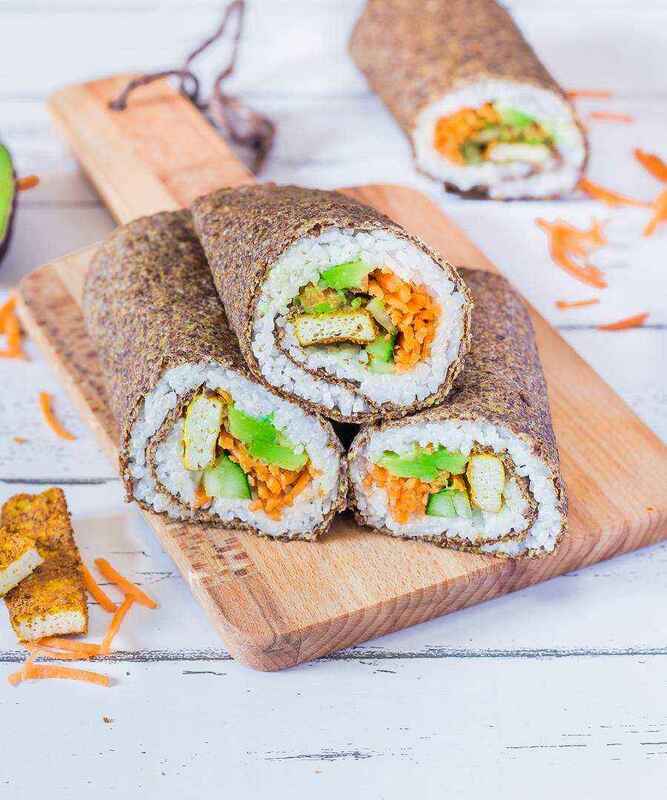 They are delicious, soft, pliable and great to make wraps with. Place the flaxseeds in a high-speed blender and pulse until they reach a fine consistency. Skip this step if you are using ground flaxseeds. In a medium-size saucepan, boil the water and add the spices. Once the water is boiling, remove from the heat and add the ground flaxseeds. Using a wooden spatula, mix the ingredients together until the ground flaxseeds absorb the water and form a ball. This takes roughly 2-3 minutes. The dough will naturally un-stick from the pan. Remove the dough from the pan and place it on a non-stick surface. Let it cool a little so you don't burn yourself. Then, separate the dough into 4 equal parts. Place each dough ball between two pieces of parchment paper and roll them out with a rolling pin. They should be quite thin. Take a large bowl or a lid and place it onto the tortilla. Cut around the edge with a knife to make the tortilla round and keep the extra dough to make another one. Repeat the process with each dough ball and leave them on their pieces of parchment paper. Place one tortilla in a hot pan over medium-high heat. 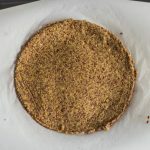 To do that, simply take the piece of parchment paper, flip it over so the tortilla faces the pan, place it in the pan and remove the parchment paper carefully. This step should be very easy. Cook the tortilla for roughly 1 minute or until you can easily flip it over. Flip the tortilla and cook on the opposite side for 30 seconds. Repeat the process with the other tortillas. Stack the cooked tortillas on a plate covered with a clean kitchen towel while you cook the rest. This will allow them to stay very flexible. Serve warm or cold, as quesadillas, burritos, wraps and more. They will keep their flexibility for 2 days. I made this but dough was really wet and sticky. Am I not waiting long enough for it? Thank you. Hmm, I’m not sure what happened, did you mix the ingredients for 2-3 minutes in the pan until the flaxseeds absorbed all the water? I make these tortillas very often and the dough naturally un-sticks from the pan very quickly. Maybe you should mix the ingredients for a few more minutes next time and see if that helps.